Our family recently came back from a relaxing and adventurous trip to Hawaii. 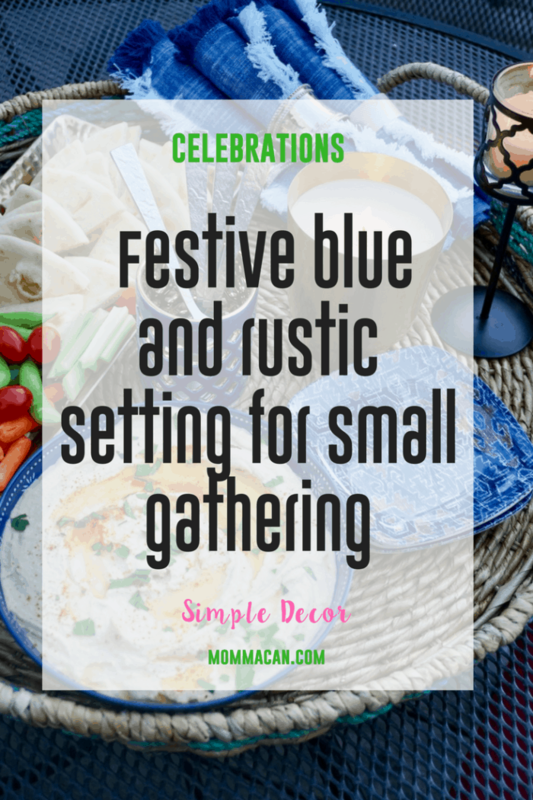 We enjoyed every single minute of it and to make that vacation joy linger a bit more I planned a special little dinner on the patio using festive blues and brass in black metal trays and candle holders to create a warm and inviting atmosphere. I found many of the treasures for this tablescape at Target. The brass metal tray and the large round basket tray were my favorites. 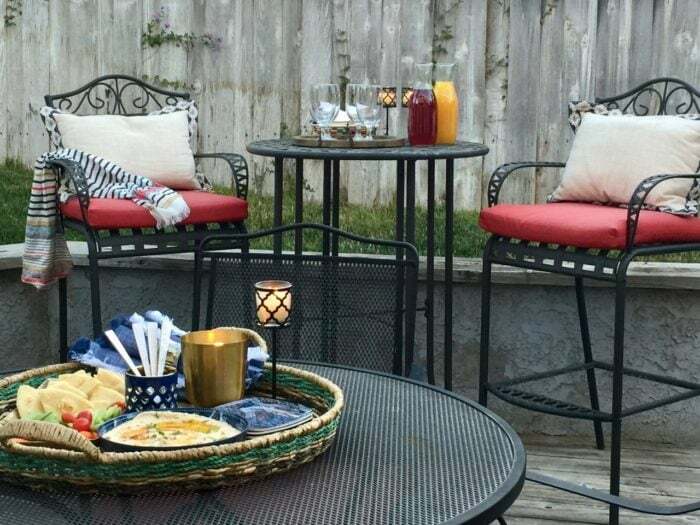 The blue napkins with white fringe were a prize from a treasure hunt at Homegoods and the black iron votive candle holder was from a shopping trip three Christmas’s ago and I use them all the time! 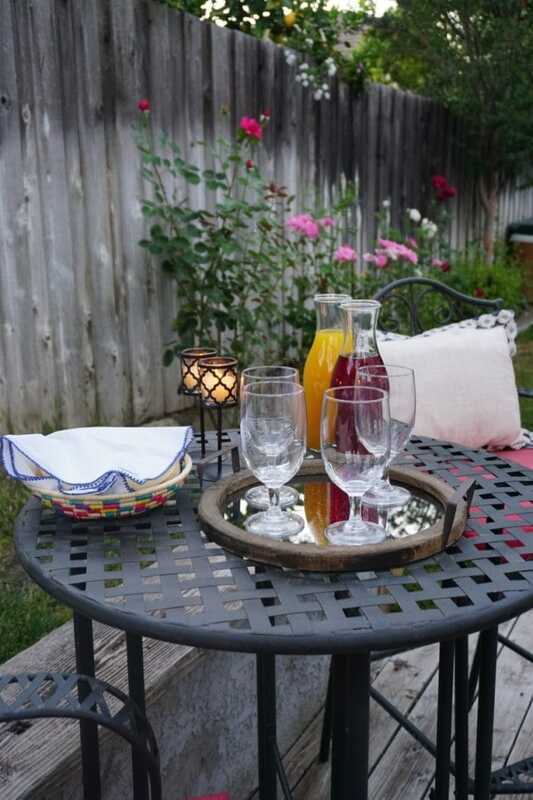 Once I started getting into the fun of decorating for the dinner party I grabbed items from my house to add to the fun. The pillows are from Pier One and usually sit one our reading chairs in the den, the throw is from Whole Foods at Christmas and was supposed to go into my daughter in law’s stocking, but I got ” busy” and forgot. The drinks are Santa Cruz Aqua Fresca and I usually serve them over frozen grapes and cut oranges but I totally forgot to put them in for the picture. I grew up drinking homemade Aqua Fresca, you can take pineapple juice, orange juice, and add some water to cut the sweetness. It is simple and tastes great! The tortilla basket holding extra pita bread and cloth cover is from a Fair Trade exhibit that comes to our church each year at Christmas time. I purchase one for my mom as well! I just love the bright happy colors. 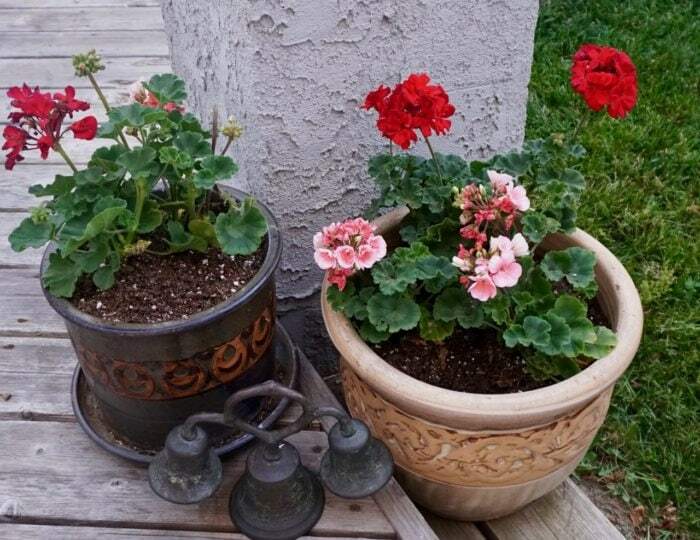 I had to add a bit of color to the party and these pink and red geraniums are lovely now and will fill in as summer progresses. The best part was spending time with my youngest while potting these fun summer flowers. The bells viewed are antique and usually on my mantle. Adding an extra seat is a habit I learned from my granny Vega. There is always room for one more at the table! 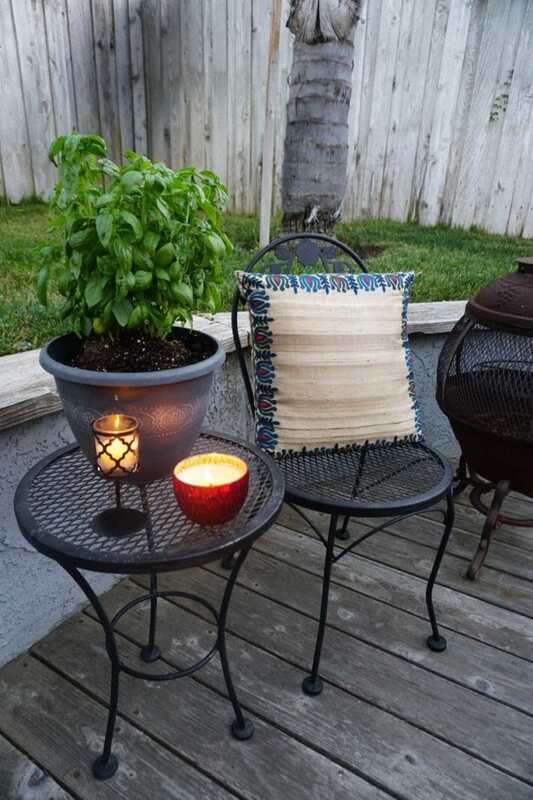 Pictured is another one of my favorite pillows with blues and reds, a red glass I candle I grabbed from the coffee table and a freshly potted fragrant basil plant. I love basic and adding a bit of greenery brings this seating area to live, even though it is technically outside. 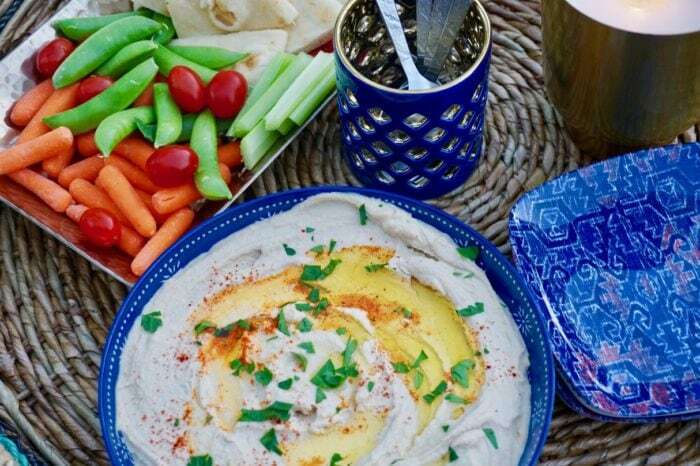 And now my favorite photo, a close up of yummy hummus with veggies and pita. The blue plates and spoon holder make this design setting really pop. My boys were so thrilled to walk out to the pretty candles and yummy treats. It was so simple to put together and was a neat way to experience that connected feeling we had in Hawaii. 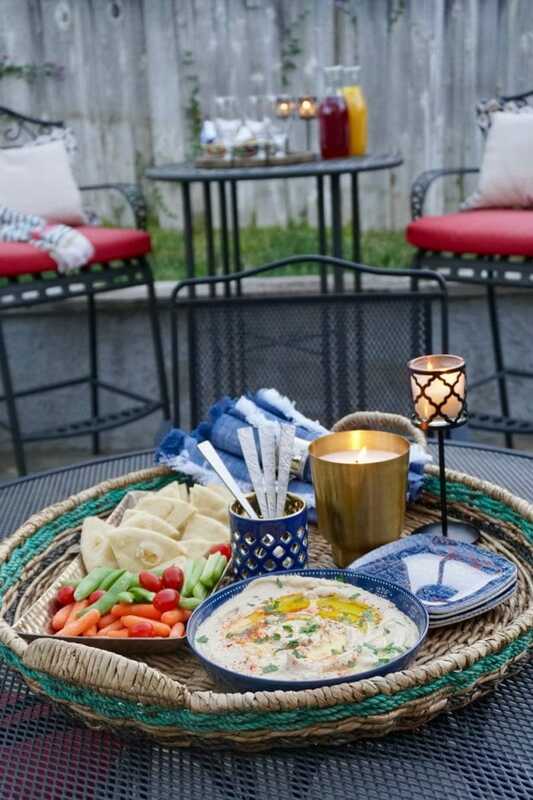 Creating simple tablescapes, adding yummy treats, and lighting candles is a simple way to make plain old dinner fun and carve a joy-filled memory into the family summer. This post is one of many to get you jazzed to enjoy the great outdoors! Please visit some of my favorite design bloggers and creatives as they share their outdoor summer ideas! 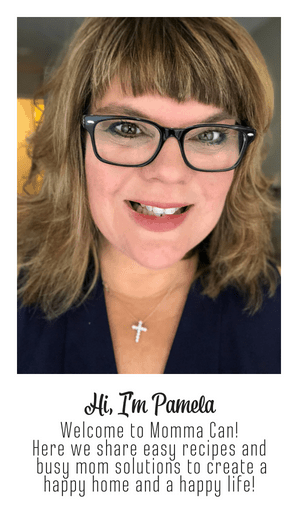 Pam – this looks inviting and fun – beautifully done! 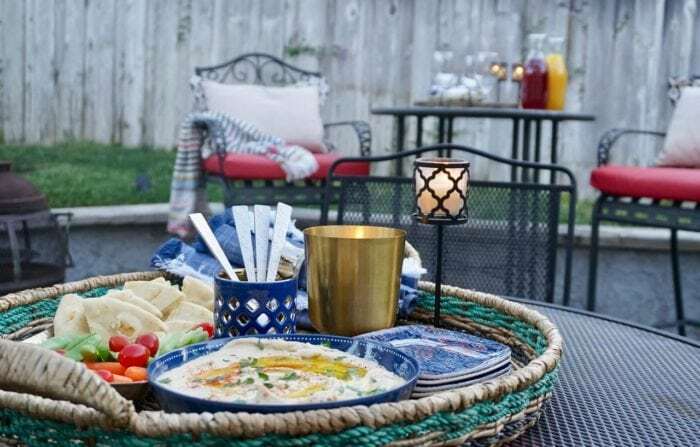 OMG, I want to come to your dinner party and eat some of that yummy hummus! That looks so delish and I am definitely going to try your homemade aqua fresca recipe, I think it would be something my kids would absolutely LOVE! 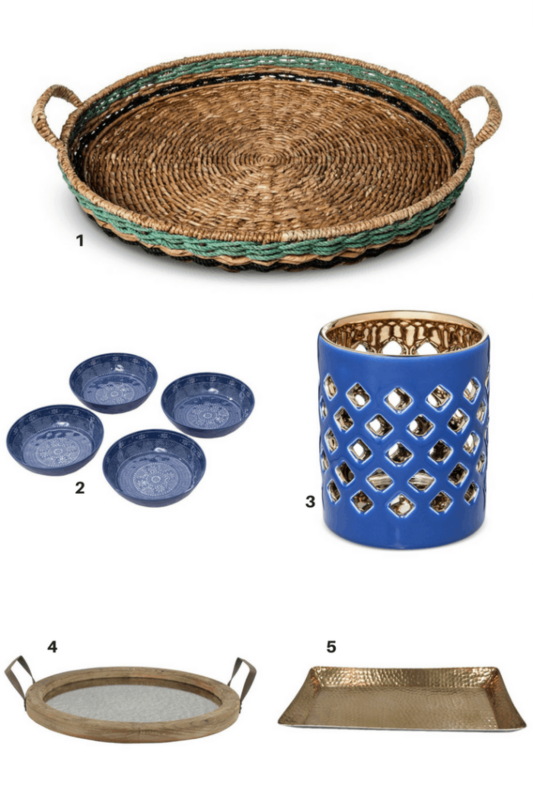 Beautiful pops of blue and that woven tray is fantastic! Now, this sounds like my kind of party!